September 2018 -4.5% loss closed early when the SPX dropped over 3% on October 10th. September 2017 -19.0% Those who exited early had an -19.0% loss, those that waited until the final adjustment had a loss of 52%. November 2014 -2.0% Adjusted position expired, leaving a net 2.0% loss. June 2014 -9.3% loss Those who exited early had an 9.3% loss, those that waited until the final adjustment had a loss of 34%. We had a losing trade in May / June. The amount of loss depended on when you exited the trade. May / June 2013 -11% loss Those who exited early had an 11% loss, those that made very aggressive rolls had losses up to 143%. February 2013 0.0% No trades available that met the Minimum Premium requirement. 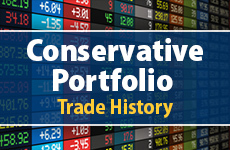 December 2012 1.6% We removed our RUT positions early because of some extreme price movements. We repositioned the spreads the following day. August 2012 0.0% No trades available that met the Minimum Premium requirement. January 2012 0.0% No trades available that met the Minimum Premium requirement. August 2011 0.0% No trades available that met the Minimum Premium requirement. December 2009 0.0% No trades available that met the Minimum Premium requirement. January 2009 0.0% No trades available that met the Minimum Premium requirement. We had a losing month of -15.8% in January. Fortunately the settlement value was very close to our Short Strike and we were able to still trade profitably for the year. 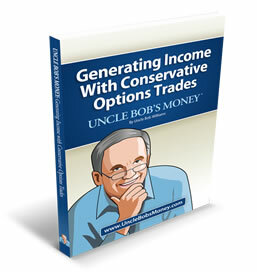 We were able place CALL spreads on most of the trades which resulted in higher overall returns. We were able place CALL spreads on some of the trades which resulted in higher overall returns. Portions of the trade history are based on back testing data according to our Options trading rules.